WASHINGTON — Now that the Democrats have won control of the U.S. House of Representatives, they need to choose a leader and that means solving one of their toughest puzzles: Nancy Pelosi. Pelosi, who has led the House Democrats in both the minority and majority since 2003, told reporters on Wednesday she was confident she would be speaker of the House again. She has some critics who say it is time for generational change, but no challenger has emerged and two senior Democrats said on Wednesday they would seek other leadership jobs. Pelosi made history from 2007 to 2011 as the first woman speaker, a powerful position second in the line of presidential succession after the vice president. 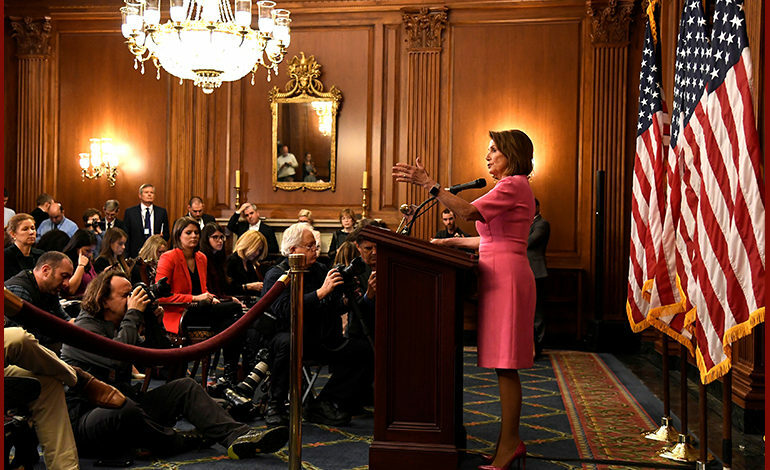 An unexpected intervention in the speaker’s race came on Wednesday from President Trump, who tweeted that Pelosi deserved the job, even though he frequently assails her and other Democrats as obstructions to his agenda. She was flanked by No. 2 House Democrat Steny Hoyer and No. 3 House Democrat James Clyburn in a sign that the three — all in their late 70s — could aim to lead the chamber in the new Congress that convenes in early January.